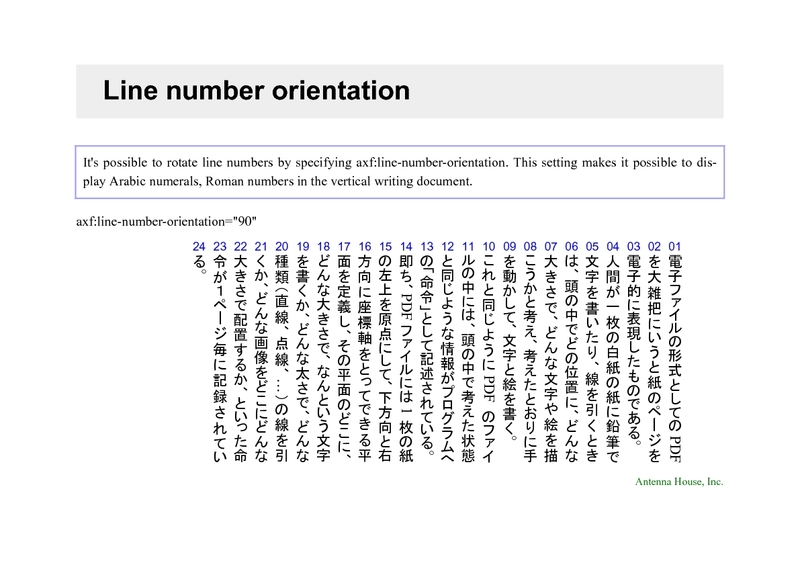 none Line numbers are not generated. show Line numbers are shown. hide Line numbers are not shown but the numbers of the line are counted. Line numbers are counted against the lines inside the block where axf:line-number="show" or axf:line-number="hide" is specified.